Marvel's Avengers: Age of Ultron (Collector's Edition) Just $25.48! You are here: Home / Great Deals / Amazon Deals / Marvel’s Avengers: Age of Ultron (Collector’s Edition) Just $25.48! 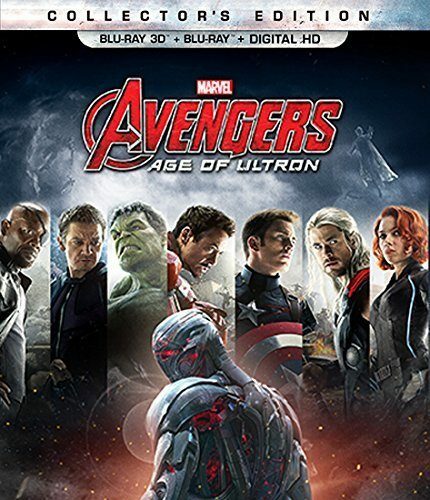 Marvel’s Avengers: Age of Ultron (Collector’s Edition) Just $25.48! Head over to Amazon and order the Marvel’s Avengers: Age of Ultron (Collector’s Edition) (Blu-ray 3D + Blu-ray + Digital HD) Just $25.48! Shipping is FREE for Prime members or on orders of $35+! Good intentions wreak havoc when Tony Stark unwittingly creates Ultron, a terrifying A.I. monster who vows to achieve “world peace” via mass extinction. Now Iron Man, Captain America, Thor and The Hulk — alongside Black Widow, Hawkeye and Nick Fury — must reassemble to defeat Ultron and save mankind…if they can! This action-packed adventure is a mind-blowing blast!